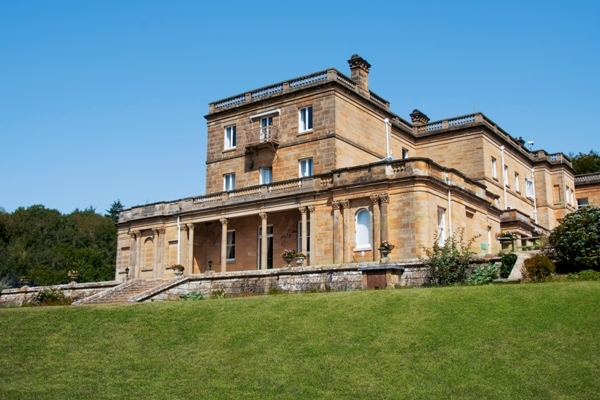 Situated just two miles outside the spa town of Royal Tunbridge Wells, Salomons Estate is a stunning Victorian mansion, designed by the acclaimed architect Decimus Burton (dontcha know). In true Muddy style this place is a real hidden gem, set in 36 acres of rolling gardens, parkland and woods, it enjoys an enviable location in the heart of England’s garden, yet within an hour’s travel of Central London. 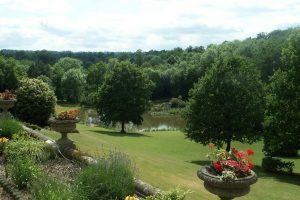 The former country house has been sympathetically converted into a series of flexible function rooms offering a spectacular venue for weddings, events and conferences. There’s guest accommodation in the 47 well-appointed bedrooms (situated in two-purpose-built buildings a short walk from the Mansion House). 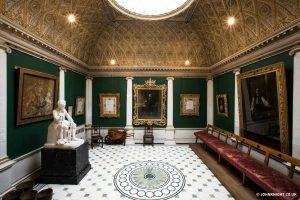 I mean, did you know the Estate includes an impressive Victorian theatre, seating up to 230 guests and an intricately decorated Gold Room, a private and intimate function space located on the South side of the Terrace, with direct access to a range of gardens and woodland? Nope, me neither. And, most excitingly, (for us Muddy foodie fans) Salomons Estate now boasts Salomons Pub & Dining Rooms, an eclectic pub/restaurant offering the best in locally-sourced produce, (where possible). It’s open every day of the week serving afternoon teas, gastro pub classics and roast lunches every Sunday. Make sure you check out their events too – whether it’s Valentine’s, Easter etc – Muddy has heard positive rumblings of lots of new and exciting things in the pipeline at this venue. They are kid friendly and often do ‘kids-eat-free’ deals in the holidays so check online. Dogs welcome too! 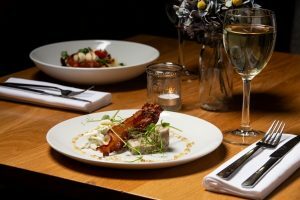 Whether you’re looking for somewhere to host a work event, private function, wedding or just eat out with the family – head here for something a bit special. Booked an afternoon tea via Groupon for myself and my husband. OMG! It was absolutely beautiful. Nothing was too much trouble for the staff, the surroundings are just amazing and where do I start about the food?!! I can honestly say it was the nicest afternoon tea we’ve ever had (and we’ve had a lot!) and I wouldn’t hesitate to recommend this beautiful location.